S.U. Sakıp Sabancı Museum in collaboration with Akbank, hosts the first major exhibition in Turkey by leading international artist, Anish Kapoor. S.U. Sakıp Sabancı Museum in collaboration with Akbank, hosts the first major exhibition in Turkey by leading international artist, Anish Kapoor. Sponsored by Akbank, on the occasion of their 65th year, Anish Kapoor’s works are presented at SSM from 10 September 2013 to 5 January 2014. The exhibition, which is curated by Sir Norman Rosenthal, is the first to focus on the artist’s stone sculptures in marble, alabaster and other materials, many of which have not been seen in public before. The exhibition also includes iconic works such as Sky Mirror and Yellow, bringing together sculpture, architecture, engineering and technology. The highly anticipated exhibition will be presented both in the galleries and the gardens of Sakıp Sabancı Museum. 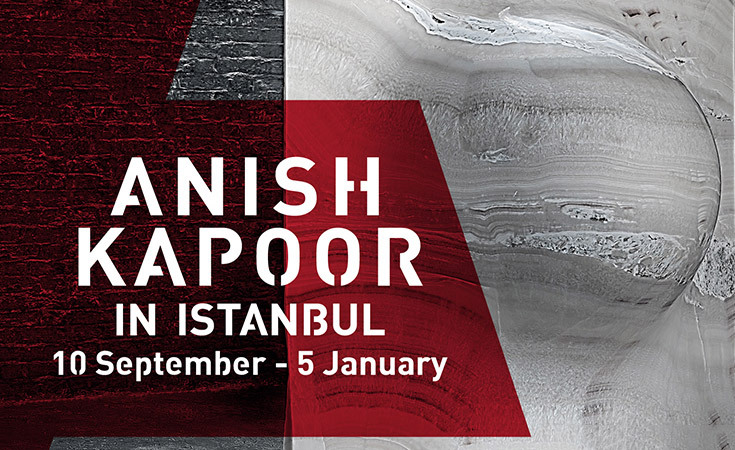 Click for the micro site of Anish Kapoor in İstanbul.